THIS DRESS SOLD. CONTACT SALES@BRIDESFORACAUSE.COM WITH INQUIRIES. If you're looking for a low back wedding dress, this is it! 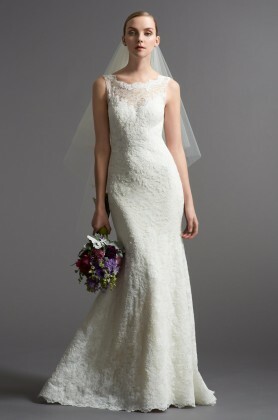 Lightweight lace dress with low back by Beneath the Gown. We only have one in size 2! This is a sample gown donated by a store, so never been worn!